psifidotos: Latte Dock v0.7, "...a tornado is coming..."
Latte Dock v0.7, "...a tornado is coming..."
Latte Dock v.0.7 has been released!!! The second Latte stable release has just landed! Go get it from, github ! if you dont want to build it yourself, you can wait a few days to launch on your distro repositiories! you can have different layouts for your Latte which are updated dynamically without closing the application. 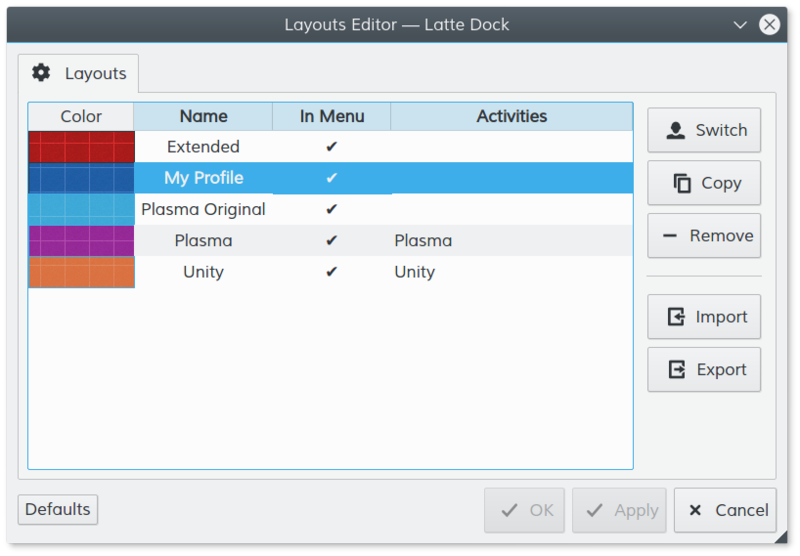 At the same time you can assign these Layouts to your Activities, meaning that when you get into one of those Activities, Latte is updating its layout accordingly. 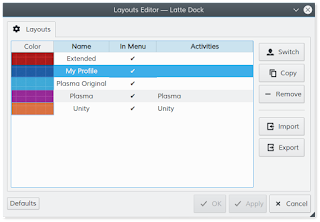 To achieve the above goal we provide an all new Layouts Editor. Show the title of the items during hovering. Such as tasks or applets that support the parabolic effect. 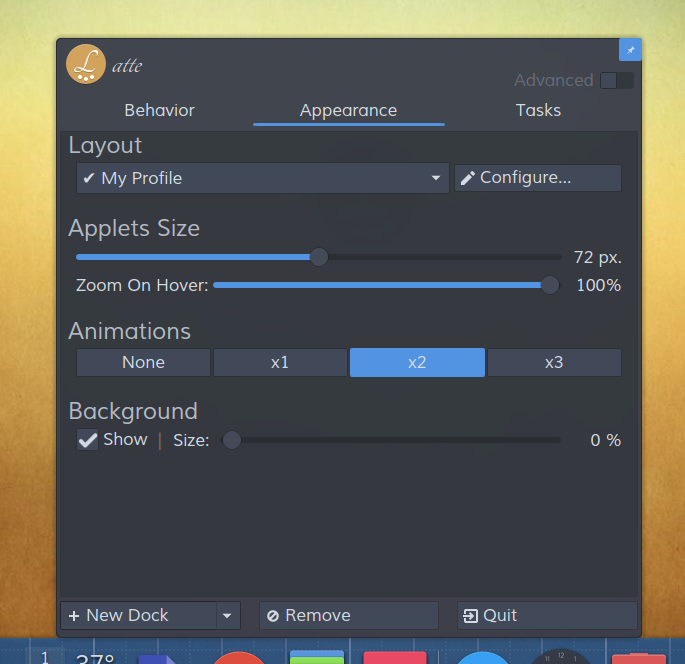 You can change the dock offset, the panel transparency, define a different shadow for the applets and enable/disable the panel shadow. Show the panel background only for maximized windows and be transparent otherwise. support applets that take up all the free space of the dock (in Justify alignment). support the libunity way of showing counters and tasks progress through the plasma way of doing this. a community provided thunderbird plugin using the Latte dbus interface to expose the number of unread e-mails. You can download it from here. We are trying to support wayland for the Plasma environment and so we now provide a tech preview. You shouldnt notice any difference except bugs that exist also at the desktop environment. The docks are positioned correctly and most of the features should work already.